From Sergio’s “bringing on the thunder” bass lines - to Scott’s rock steady percussion. From Rob’s power baritone voice and keyboard foundations to Dan’s ripping guitar leads. Bad Alibi is ready to bring you the best in classic rock - whenever and wherever they’re needed. 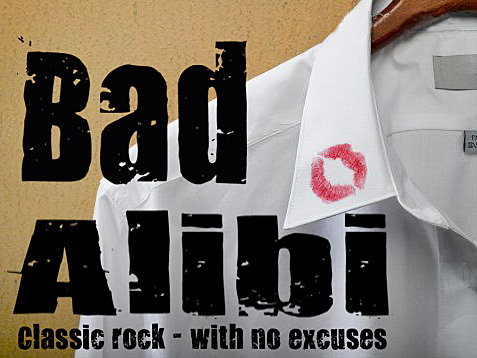 Bad Alibi - Classic Rock, with no excuses!